The winter edition (volume 69) of Creative Nonfiction titled “Intoxication” features my artwork! You can find my original paintings & art prints, along with several other local artists & makers, at the new Small Mall in Lawrenceville. Started by cultural producer & art consultant Casey Droege, this innovative new business is changing the Pittsburgh art scene. Learn more here. Send me your photos and I'll create a custom painting or drawing of your loving friend. Contact me for a price quote. 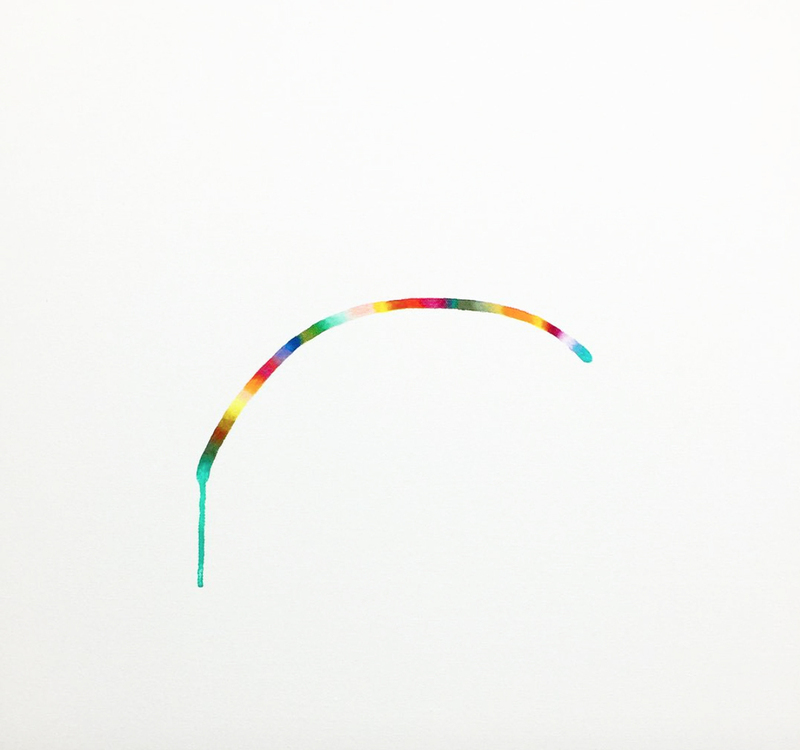 Pittsburgh pop rock band Donora chose my art for the cover of their latest album, Sun To Me, and for their single release, This Heart. Check out Donora's music here! Their release party was held at Spirit Lodge in Lawrenceville, PA, and coincided with a solo show of my newest paintings. The show was so much fun! The Buckle Downs opened up the show, and Donora's performance was so full of energy - I spent the whole night dancing! Check out my new paintings on display at the Backstage Bar in Theater Square until January 3rd, 2018. Located in the heart of the Pittsburgh Cultural District, this bar is a great spot to enjoy live music, food and cocktails. (Their kitchen is run by the adjacent Meat & Potatoes). They have free live music every Tuesday, Friday and Saturday evenings! Check out their music lineup here. This exhibition is brought to you by the Pittsburgh Cultural Trust. I'm busy creating lots of new work for my TWO upcoming solo shows in Pittsburgh this winter!! I'll be the featured artist at Spirit in Lawrenceville for the month of December. The opening event is Friday, December 1st and is part of the CD release party for local band Donora. I'll also be the featured artist at The Backstage Bar in Theater Square for Nov-Dec - more details to follow! You can also find my art at The Wexford Pub at Whole Foods this Nov-Jan.
Come see my work, along with 11 other Pittsburgh artists! This group show features artists who are all alumni of the Brew House Distillery Program, a local artist residency. Come check out my newest paintings at Pittsburgh's Three Rivers Arts Festival this June! I'll be in Booth 107 along Penn Ave Extension on Saturday, June 10th and Sunday, June 11th. (It's the last two days of the festival.) Don't miss out on all of the free music and incredible artists on display at the Point and Gateway Center, downtown. If you can't make it, I have a few more Pittsburgh shows lined up this summer. We're celebrating our 1yr anniversary at the Wexford Pub at Whole Foods with a group show of local artists, live music all day, free food and giveaways, and tons on great craft beer and cocktails. Come party with us all day - 11am-10pm - on Saturday, March 18th. I'm honored to have my painting, The Evolution of Sexual Reproduction, featured in the Art.Science.Gallery in Austin, Texas for their show "Evolution 2016". Art.Science.Gallery. 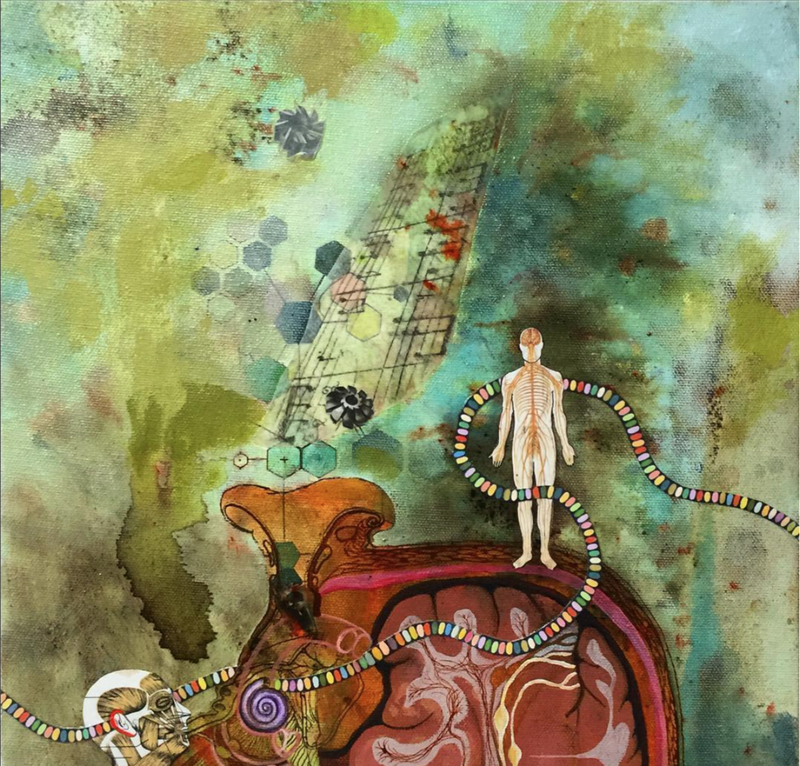 announces the opening of "Evolution" an evolution-themed art exhibit in conjunction with the 2016 joint annual meeting of the Society for the Study of Evolution (SSE), the Society of Systematic Biologists (SSB), and the American Society of Naturalists (ASN) in Austin, TX. The exhibit opens Saturday, June 18th from 7-10pm with an opening reception sponsored by Austin-based distillery Genius Gin. A public outreach lecture titled ‘The Evolution of Seeing’ by Dr. Nathan Morehouse (University of Pittsburgh) will take place on Sunday, June 19th at 4:30pm. The exhibit closes Saturday, July 30th with Far Out Films #4, a free screening of short films inspired by the exhibit. This exhibition is generously sponsored by the Evolution 2016 meetings. It's that time of year again -- I'll be back at the Three Rivers Arts Festival this summer! You can find me at Booth #240 near the main stage in Point State Park from June 3rd to June 9th. Come enjoy free live concerts every night and hundreds of artists and vendors as we celebrate the arts in Pittsburgh! 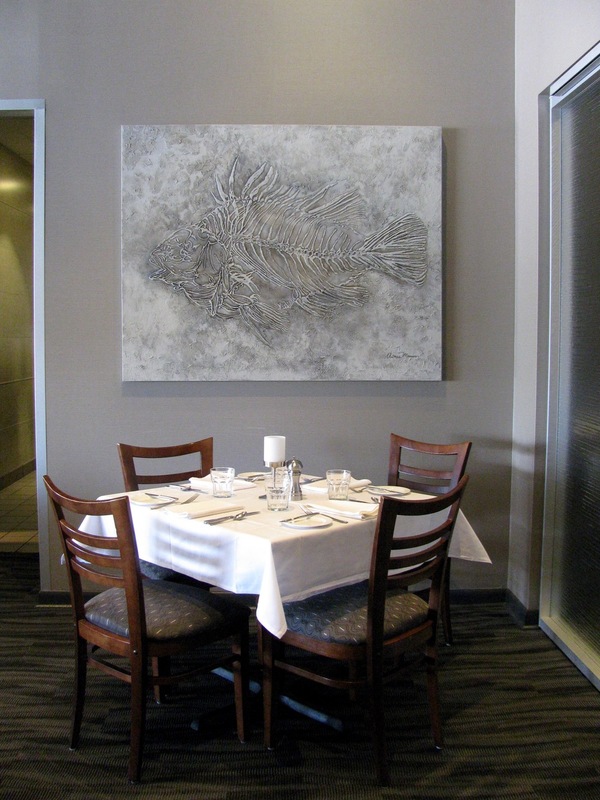 I just installed my artwork at the award-winning seafood restaurant Off the Hook in Warrendale, PA. 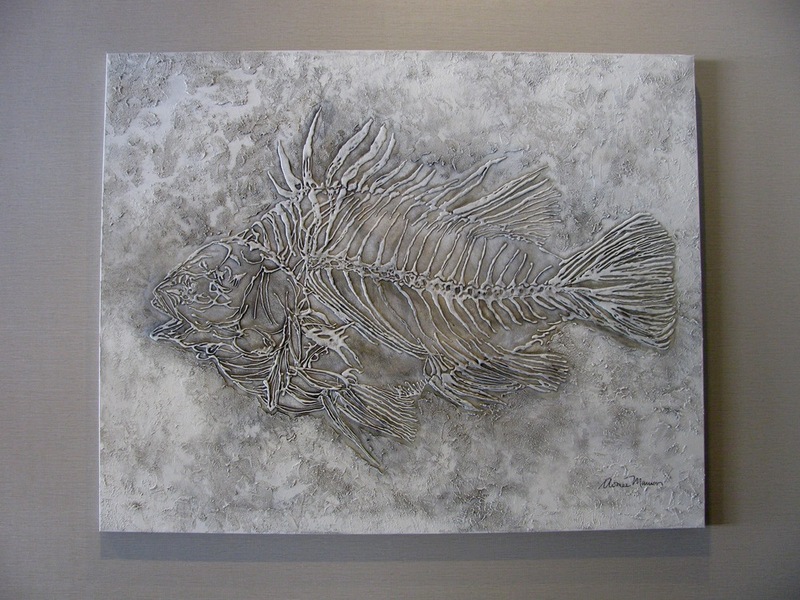 I created five custom-designed charcoal drawings of fish fossils for the oyster bar, and also a large mixed media piece for the dining room. I'm incredibly happy with how they turned out! 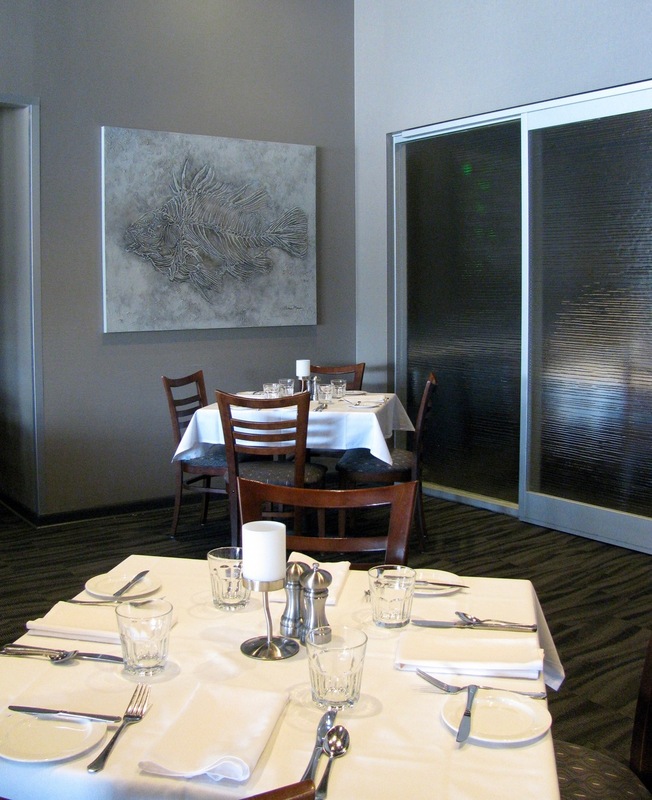 The owner, Lisa Hawley, has a very sleek & simple aesthetic - very industrial chic - so I designed the artwork around her tastes, keeping the work minimal and refined. I used the same base color as the walls so the fish become a part of their environment. Great success! There's a PCT Gallery Crawl in downtown Pittsburgh on Friday, April 22nd, from 5:30-10:00pm. I'll be setting up my booth and displaying my newest paintings at the outdoor Night Market - come out and celebrate local art, music, drinks and food! A sneak peek of my new work... See my 2016 Gallery for more. Celebrating Pittsburgh's Bicentennial birthday!!! I'll be setting up my booth and selling my wares at this awesome Night Market - along with tons of other local artists, crafters, entrepreneurs, local food booths and other independent vendors. Come down and say hello! Part of the Gallery Crawl brought to you by the Pittsburgh Cultural Trust. I'm thrilled to once again be a part of Pittsburgh's 2016 SWAN Day event - Support Women Artists Now - celebrating the talents of women in the arts across the world. Brought to you since 2009 by the marvelous Tressa Glover and her local theater troupe No Name Players - this year's SWAN Day event will showcase the creative powers of several local Pittsburgh women in theater, dance, poetry, music, film, fashion, and fine art. Come, and expect to be dazzled and entertained by the brilliance of Pittsburgh's finest women in the arts! Saturday, March 5th 2016 . . .
. . . at the Twentieth Century Club on Bigelow Blvd, Oakland. Doors open at 7pm, show starts at 8pm. I'm part of an exciting collaborative group show of Pittsburgh writers and artists held at the Panza Gallery in Millville, PA. Each artist was paired with a poem and used this as inspiration to create an original artwork. My painting, featured on the postcard below, was inspired by Jan Hardy's poem, Anesthetic. 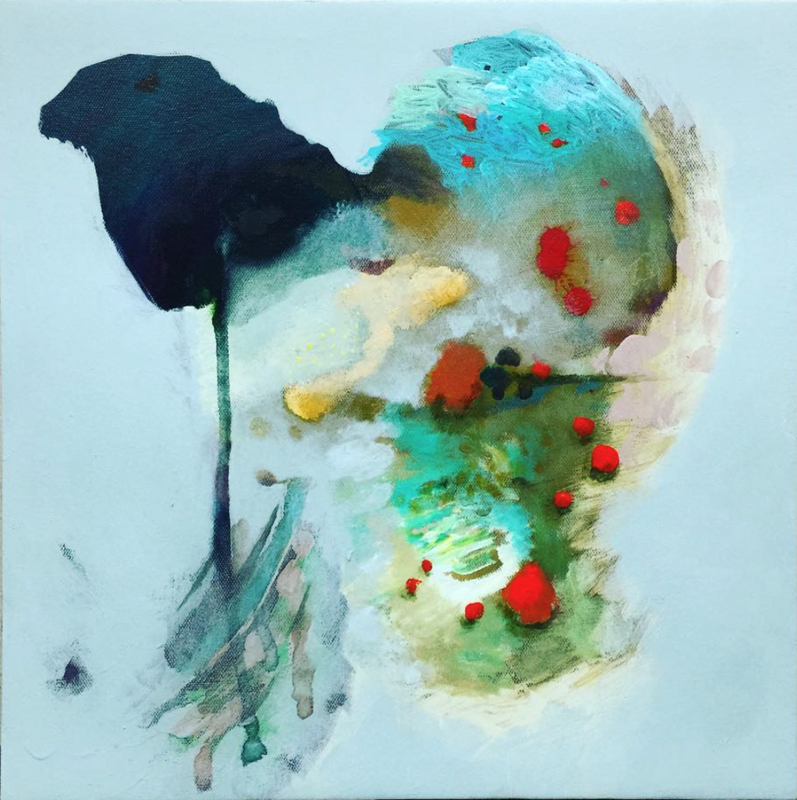 Curated by Rachel Klipa. The opening reception on is Saturday, January 16th from 6-9pm. The show runs till February 27th, 2016. Thanks to all of the awesome people I met last weekend at the Neptune Festival in VA Beach! I'll be posting all of my newest works for sale in My Shop this week, so check back soon for more art! Tomorrow is the WaterFire Festival in Sharon, PA! It will be an awesome day filled with art, music (4 stages), nature, food, and all kinds of activities. I'm really excited to be a part of this unique cultural event. Come early and stay late - the festival is from noon to midnight. The lighting ceremony begins at dusk. Click here for more info on WaterFire. I'm working on some more hand-painted back drops and set installations for Jen Carver Photography. 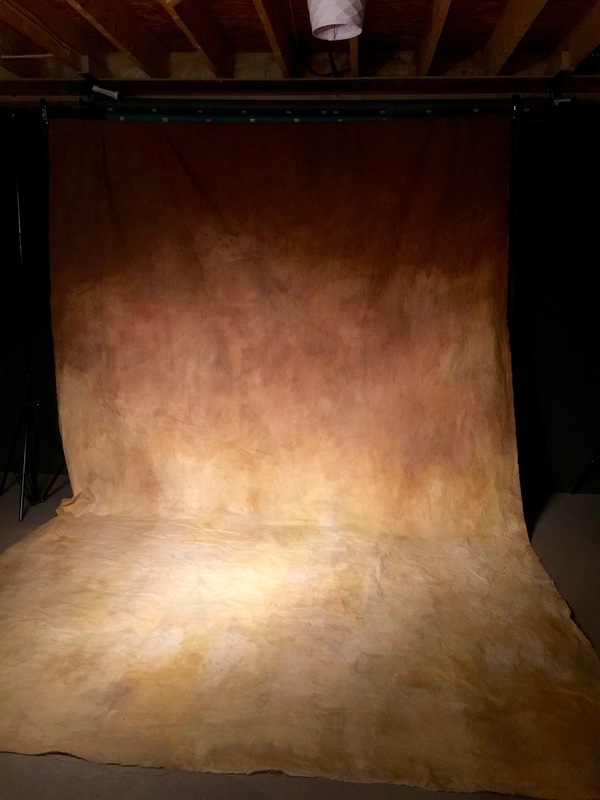 I just finished a 10x20ft sepia drop, and here are some in-progress pictures of a distressed wall installation I'm creating.